Over GreenSportsBlog’s 3 1/2 year existence, we’ve spoken with many leading lights from across the Green-Sports spectrum. But the Green-Sports niche, while growing, is still relatively small. When will Green-Sports reach critical mass? What are the key challenges the sports green movement has to overcome? To get some answers, GreenSportsBlog is going outside of the Green-Sports world to take a look inward. We are talking, in an occasional series, with leaders from various corners of the sustainability, business and non-profit worlds to get their views on the sports-greening movement. So far, we’ve spoken with Joel Makower, chairman and executive editor of GreenBiz Group; Jerry Taylor, a leading libertarian DC lobbyist who was climate denier/skeptic, “switched teams” and is now a climate change fighting advocate; Dr. Michael Mann, one of the world’s foremost climate scientists; Caryl Stern, President and CEO of the US Fund for UNICEF and Paul Polizzotto, President and Founder of CBS EcoMedia. 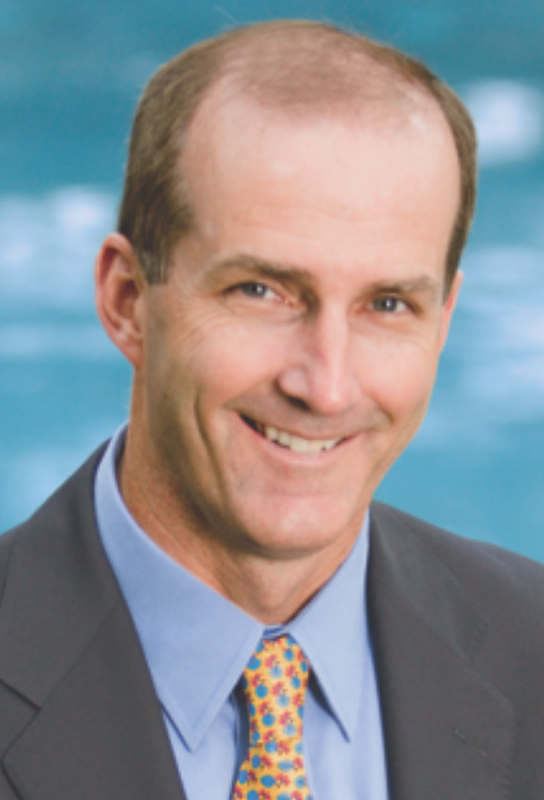 For our sixth installment, we bring you David Crane, former CEO of NRG, the leading integrated power company in the U.S. Crane, now Senior Operating Executive at Pegasus Capital, was the prime mover in NRG’s efforts to bring on-site solar to a variety of NFL stadiums. GreenSportsBlog: David, before we get into the story of NRG, solar and the NFL, as well as your thoughts on the potential of sports to be a platform for climate action, tell us how you got to be CEO of NRG. David Crane: Well, I was trained as a lawyer and started at White & Case. A lot of my work was in project finance, which caused me to shift to investment banking. At Lehman Brothers, that work focused on the financing of power plants. This led to my becoming COO of International Power in Great Britain and its CEO two years later. In 2003 I came back to the US after being named CEO of NRG. GSB: You know; my image of a Big Energy CEO is not of someone who is concerned about climate change. How did you become that guy? DC: Once you start running power plants, you find that managing emissions and other environmental issues are part of your job. This was the case even back in the early 2000s. When I was with International Power in England in 2000-2003, we had to deal with and measure carbon emissions on our European plants. When I came back to the US with NRG, the immediate environmental focus around our coal plants was reducing mercury emissions. While I was always aware of the carbon emission issue, it wasn’t until 2006 that the greenhouse gas problems we were creating clearly became a game changer – the mother of all environmental issues. At that time, the Bush administration policy was to call for voluntary restraints on emissions. The power industry endorsed this policy, which of course was deeply hypocritical since, at the time, the US power industry was seeking to permit 110 new coal plants around the country. DC: Exactly. So I became somewhat of a “militant” on climate, at least insofar as you could be so, as the CEO of a power company that owned and operated a fleet of coal plants. That became apparent at a Merrill Lynch conference in September of that year when I gave a presentation depicting the Edison Electric Institute (EEI), the trade association of electric utilities, as the famed Three Monkeys drawing except I had modified it to “See no carbon, hear no carbon, speak no carbon”. DC: No it didn’t. Don’t get me wrong, there were other power industry CEOs who had been outspoken on global warming before me but they tended to be running companies whose generation portfolios would benefit from carbon regulation. For example, Exelon was on board but a lot of their load came from nuclear power and zero carbon nuclear power plants would obviously benefit from a carbon price. Basically it was only Duke Energy and NRG who pushed for a carbon price while still owning coal plants. GSB: This sounds like smart business now, but back in 2006 I can see how it sounded radical. How did NRG employees react? DC: Our employees largely bought in and supported our efforts to move away from coal and towards cleaner energy. Yes, many of our coal plant employees remained concerned about being given the opportunity to continue to do what they had done for decades but they understood the industry was moving away from coal. They generally appreciated that NRG was going beyond what our competitors were doing to help make the transition as smooth as possible. For example, we moved employees who wanted to move from a coal plant that was closing in upstate New York to Nevada to work at a new solar thermal plant. GSB: So it’s clear you were a “go against the fossil fuel grain,” power company CEO. It seems to me partnering with NFL teams on on-site renewable energy was another example of going against the grain. How did that come about? DC: Completely by accident. In 2009 NRG bought Reliant, the Houston-based retail energy company. They had, a few years earlier, inked a naming rights deal for the Texans’ new stadium. Initially, I wanted to get out of the deal and sell the rights but Harris County, the owner/operator of the stadium, had negotiated an ironclad deal we couldn’t get out of. But I changed my opinion pretty quickly. Our retail energy people, they loved the deal and thought it critically important to their brand identity in their home market. And, as I got to know Texans’ owner Bob McNair and Jamey Rootes, the team president, I found them great to work with. They were receptive to on site renewables at the stadium; they also were more than willing to introduce us to the other NFL owners. Before the 2011 Super Bowl^ in Dallas, Rootes organized a presentation for us to make to all of the NFL ownership at which we made the case for “at stadium” renewables as part of a broader sustainability initiative. GSB: How was it received? DC: Very well…20-25 owners or their representatives showed up. We talked about putting solar on the roof, in the parking lots, EV charging. A few teams—like the Atlanta Falcons and Miami Dolphins—expressed strong interest but were in states in which we weren’t able to operate because of the nature of utility regulation; but several teams, along the East and West Coast, playing in areas where we were allowed to operate also expressed strong interest . GSB: This answers my next question, which would have been: were you interested in a league-wide NFL deal? That only makes sense if NRG had a retail presence in all 31 markets. Which it didn’t/doesn’t, right? DC: Exactly. We discussed a league wide deal with the NFL but it didn’t make sense because of the geographic restrictions we face in our business. So we went after deals in the NRG retail markets. First up were the Washington Redskins and bringing solar to FedEx Field. That moved quickly: from signing the deal to implementation took from February to August. GSB: I would’ve thought the Philadelphia Eagles, with climate change fighter extraordinaire and GreenSportsBlog interviewee Christina Weiss-Lurie as a minority owner, would’ve been at the top of the list. DC: Ahhh, the Eagles…At that time, the Eagles already had a deal with an Orlando, FL-based provider that had garnered alot of notice around the league and beyond (apparently, President Obama even called to congratulate them). We took a look at the details of the proposed renewable installation and told the team ownership that what they had announced was exciting, but economically implausible. We turned out to be right and, ultimately the Eagles ended up coming to us. I remember talking to Jeffrey Laurie, the principal owner, for the first time. 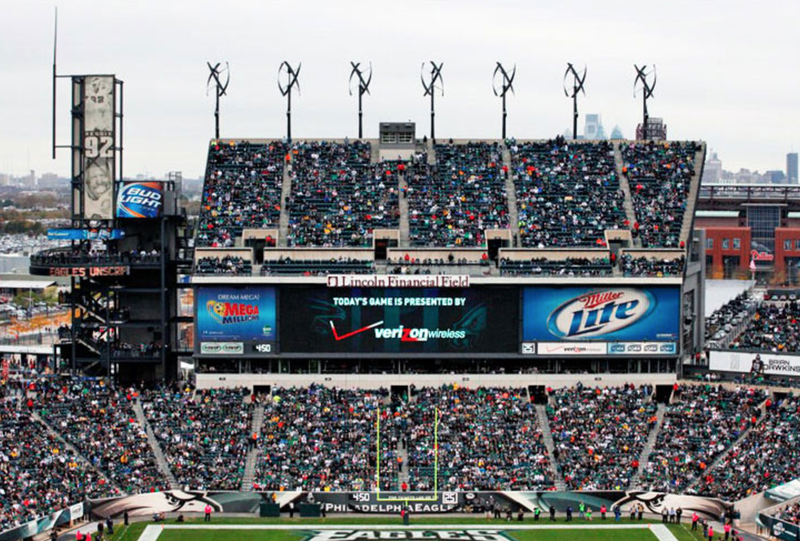 As part of the plan, they wanted eagle talon-shaped mini-wind turbines on the roof of Lincoln Financial Field. I told Mr. Laurie, “there’s no way these turbines will pay for themselves.” He said, “I know, but Christina wants them…”. So we installed them and, you know, she was right. The wind turbines are a highly visible symbol of the Eagles’ commitment to the environment…and they do look like Eagle talons if you have a little imagination! GSB: Christina Weiss-Lurie is a green-sports hero! Full stop. Now let’s move up I-95 from Philly up to MetLife Stadium, home of the Giants and Jets. Opened in 2010. How did that get done? DC: Great story. I clearly remember the key meeting with Giants co-owner John Mara and Jets owner Woody Johnson at our offices in Princeton, New Jersey. Mara arrived in his Suburban; Woody came in his helicopter. Since the meeting had been set up by the Giants, John did more of the talking than Woody. GSB: As a lifelong Jets fan, I can’t say that Woody has made that much of an impression on me, either. Except as a Trump supporter. Which posed a dilemma for me: How could I root for a team owned by a supporter of a candidate who thinks climate change is a hoax. Perpetrated by the Chinese. But I digress. What about Mr. Mara? DC: At the end of the meeting, Mr. Mara said to me, “David, I’m a football man. Football is my life. It’s all I know. But we always want the Giants to stand for doing the right thing. For our fans, for our community, for the environment. Plus, I really want to beat the Eagles on and off the field.” And because the Eagles remained, for awhile, engaged with their previous partner, we finished the solar ring on top of MetLife Stadium before the Eagles’ installation was completed (although the Eagles’ solar/wind installation is significantly larger). GSB: That sounds like Mara, notwithstanding the recent issues regarding sexual assault surrounding Giants kicker Josh Brown. What other stadiums became part of the NRG-NFL roster? DC: At Levi’s Stadium, the LEED Gold home of the San Francisco 49ers in Santa Clara and the host of Super Bowl 50 this past February, we built beautiful solar bridges to access the stadium and a solar sky garden. In New England, we put solar over the walkway in the adjacent shopping mall. And NRG also has a deal at AT&T Stadium in Dallas although no on-site solar there yet. GSB: Did you try to work with the Seattle Seahawks? DC: Not really, but nonetheless I always root against the Seahawks because, at one point at least, they were the only NFL team which installed solar with a company other than NRG —with Solyndra! GSB: They clearly should’ve gone with NRG. How did these deals work? DC: The teams/stadium authorities entered into Power Purchase Agreements (PPAs) with NRG in which we would build and own the solar/wind systems and the teams/venues would agree to buy the electricity generated by the systems at an agreed upon price, with an inflation factor built in. We would have marketing/hospitality deals with each team but they were contractually separate. GSB: How much were the cash contributions from NRG under these marketing/hospitality arrangements? I imagine these NFL team deals would be in the low-t0-mid seven figures. And how would you measure success? DC: Actually they were in the high six figures to low seven figures per years as we were a “3rd tier sponsor.” As for success metrics, those were a work in progress by the time I left NRG last year. It was still early days. GSB: Staying with success metrics, let’s pivot to the Green-Sports movement. I’d say that, considering Green-Sports as “a thing” is maybe only 6-7 years old, one would have to consider it a success: Recycling and composting are now givens at stadiums and arenas. As discussed, on site solar is becoming more commonplace as is energy efficiency. But, fan awareness of a team’s/venue’s sustainability is likely quite low. How do we change that? GSB: …True! But So why not climate change? DC: Good question! Climate change is the mother of all macro issues but the solutions will be many micro ones. It can be complicated to communicate those solutions. So game day, at the stadium, isn’t the time to do it, but I would love to see the NFL deploy its immense marketing power to embrace this issue, purely because it is the right thing to do. GSB: But online and on TV, during games, with PSA’s? DC: Absolutely. And, the teams and players can carry the climate change load on every day other than game day. There are players who are into this issue and live it every day. 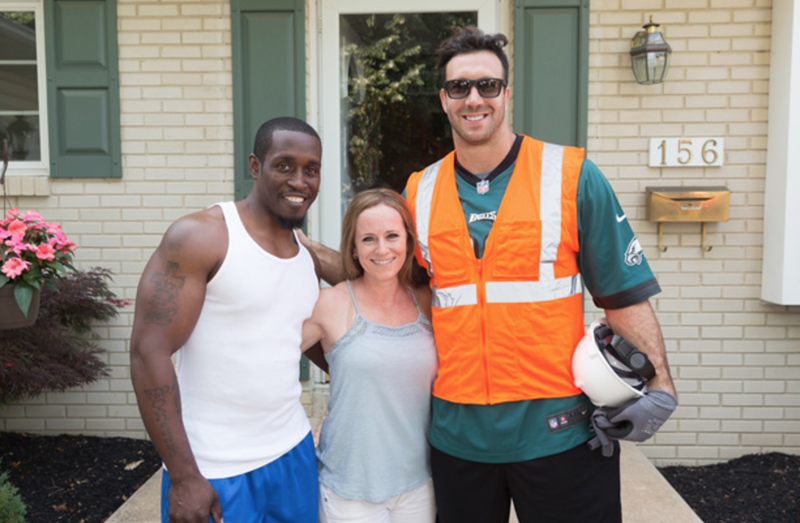 DC: …Connor Barwin of the Eagles is one. He is engaged on the issue, rides his bike to work, and speaks out about climate in his community. I’m sure there are more players in the league like him. I mean, I’ve got nothing against Play 60, but given the broad reach of the NFL there is nothing more important, in my mind, than highlighting the importance of keeping the planet from warming. Almost every team in the NFL is family-owned. They have the ability to speak out without dealing with corporate boards and shareholders. Their family values are their team’s core values. I was lucky to work with the extraordinary owners of the Texans, Eagles, Giants, 49ers, Redskins and Patriots to install beautiful and innovative solar installations at their locally iconic football stadiums. It’s just a start, but it’s a good start, and I would love to work again with the NFL to deploy their extraordinary reach in a way that saves the planet. GSB: I hope you get the change to do so. In the meantime I’d like to thank you for your saving-the-planet work, including your segment on Episode 1, Season 2 of “Years of Living Dangerously,” the incredible climate change documentary series running now on National Geographic Channel. You can watch Episode 1 at 9 PM Eastern Time tonight/Wednesday November 2#. ^ Super Bowl XLV (2011) was won by the Green Bay Packers, 31-25, over the Pittsburgh Steelers. # You should DVR it if you are going to watch Game 7 of the World Series. always do a good job explaining the whatever topic you’re blogging about. Btw, I shared this on Twitter and my followers loved it.